Bartholomew based their half-inch maps on more detailed Ordnance Survey mapping at one-inch to the mile (1:63,360). The firm had published 'Reduced Ordnance Maps' of Scotland, England and Wales at this scale from the 1890s. These maps were progressively revised and updated with new information. The maps were distinctive for using different layers of colour to represent landscape relief. A subtle and innovative gradation of colour bands were employed for land at different heights. Lighter greens were used for low ground closest to sea-level, darker greens and browns for higher ground, with white used for mountain tops. This was both innovative and influential. John Bartholomew junior (1831-1893) first used the firm's trademark layer colouring in Baddeley’s Lake District Guide (1880). His son, John George Bartholomew (1860-1920), later went on to refine the style. 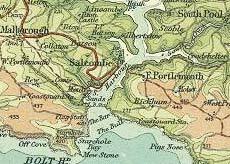 John George Bartholomew used half-inch maps in the 'Survey Atlas of Scotland' (1895 and 1912). As each sheet covered around 45x60 miles, it took only 29 sheets to detail the whole of Scotland. 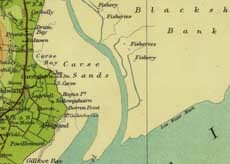 Half-inch maps feature as regional topographic maps in Bartholomew’s 'Survey Atlas of England and Wales' (1903). The firm continued to publish this series at the half-inch scale until the 1970s.